509515 0500LR Performance cat-back system consisting of: Resonated cat-back section, left & right stainless steel sport exhausts featuring onboard electronically controlled valves, suitable for the original exhaust outlets, with EEC homologation. • No vehicle modifications required! • Suitable for the original exhaust outlets! Under POWERIZER you will find the entire product range, prices and installation instructions. REMUS Powerizer: More power, more economy and more fun. Due to chip tuning, the operating license of the vehicle will terminate if the installation and registration of the POWERIZER is not carried out or immediately reported to an official approved testing facility. Please consider that driving a vehicle without the required operating license will cause legal penalties. The installation of the POWERIZER can have influence on the insurance policy of your vehicle. You must inform the insurance company if you install a POWERIZER in your vehicle. a) When installing a POWERIZER, you will lose all guarantee claims regarding the engine against the vehicle manufacturer. b) Installing a POWERIZER, can have influence on warranty claims against the seller of the vehicle. c) REMUS excludes any claims regarding compensation for damages on the engine and drivetrain. Under RESPONDER you will find the entire product range, prices and installation instructions. Improved throttle response, more dynamic! 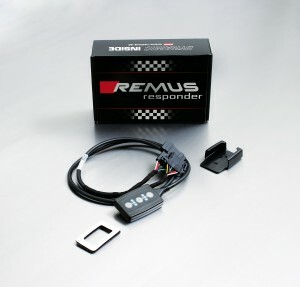 The REMUS Responder improves throttle response by means of modifying the accelerator pedal output signal. 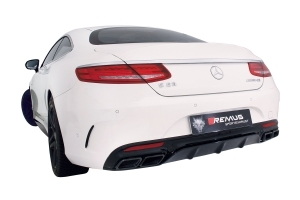 No more throttle delay and reduced lag during automatic shifting makes driving with the REMUS Responder more fun. 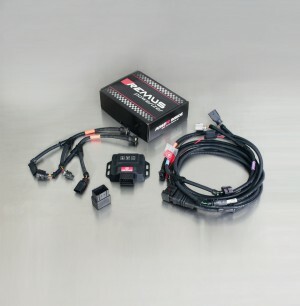 The Responder attaches between the OEM pedal sensor and the OEM connector, ready to use in seconds due to plug & play technology. Sophisticated adjustable programming profiles can lead to improved fuel consumption and more efficiency. The 4 individual user selectable and adjustable performance settings allow drivers to select according to their own preferences. 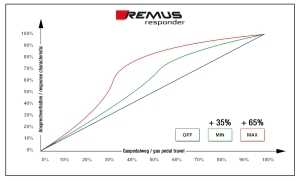 The REMUS Responder totally eliminates the delay in modern electronic accelerator pedals!